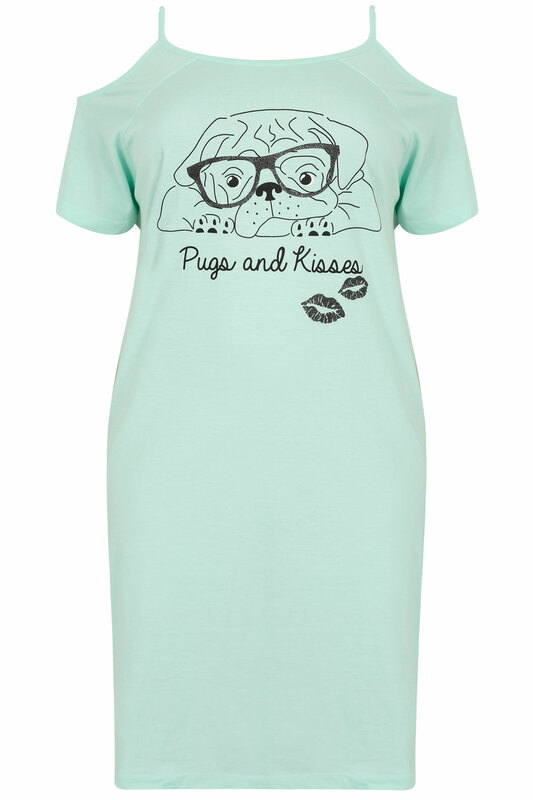 Plus size mint green 'Pugs And Kisses' printed nightdress with sparkle detail. Featuring cold shoulder cut outs, a scooped neckline and short sleeves. Made from a comfortable jersey fabric that is great for lounging.